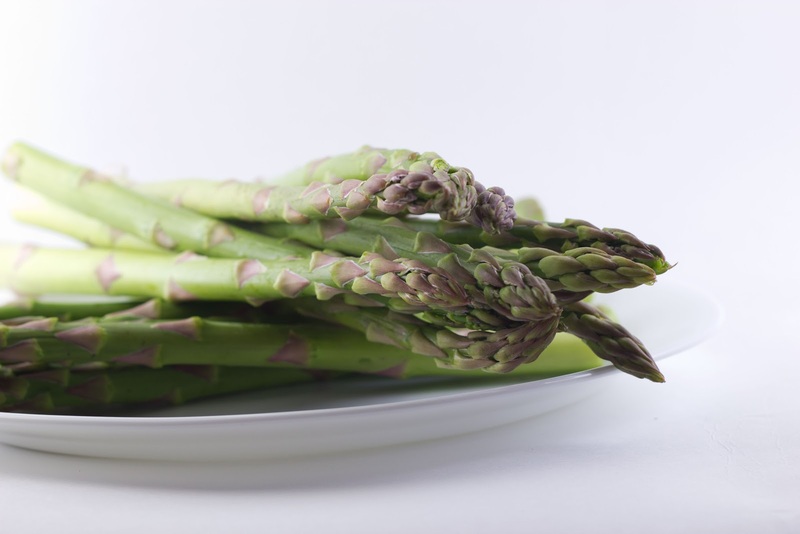 Nothing says spring like asparagus. 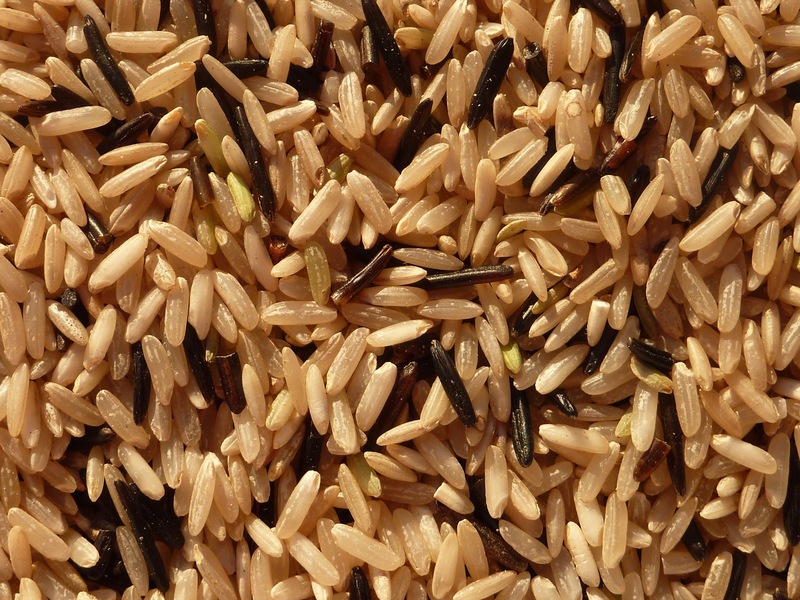 Its one of the most nutritionally balanced vegetables in existence. We simply love it here in this family. For detailed nutritional info on this amazing vegetable click here. 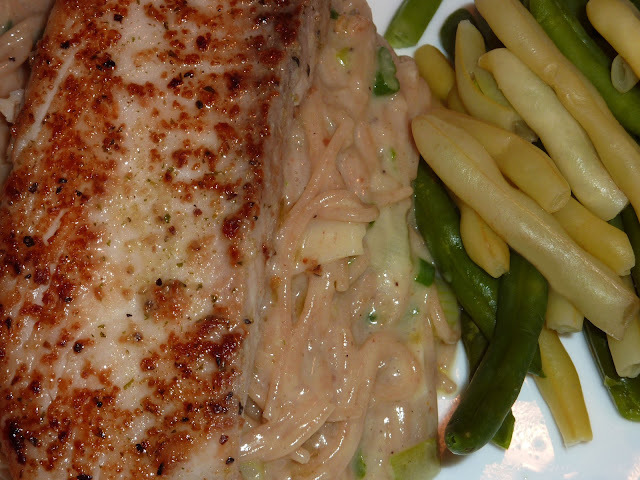 Salmon is the most widely used fish in North America. Has a pleasant aroma and meaty pink flesh. Very high in omega3 oils and vitamin D content. Both fillets and steaks taste great. You really don't need to do much with this fish except season it and grill it. It releases the good oils as it cooks and tastes wonderful. Tonight we had a two course meal, starting out with the artichoke crostini while sipping wine. In the meantime the main dish was cooking in the oven. 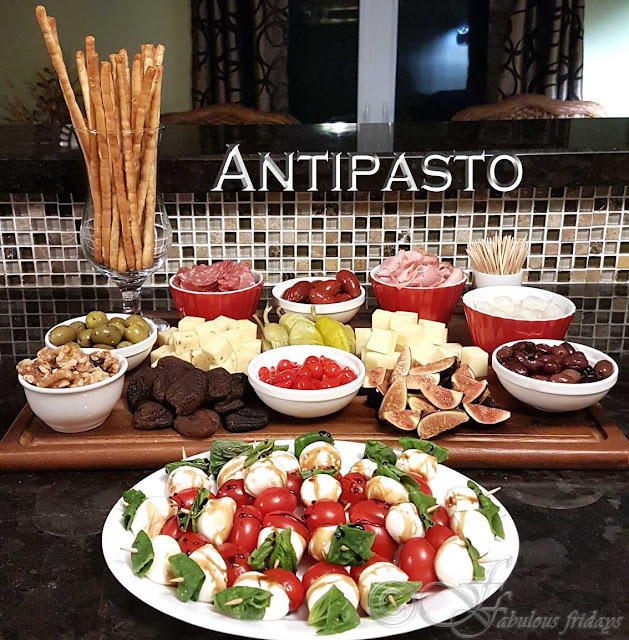 Perfectly simple but delightfully scrumptious. Here are the recipes. Try it out and don't forget to tell us all about it. 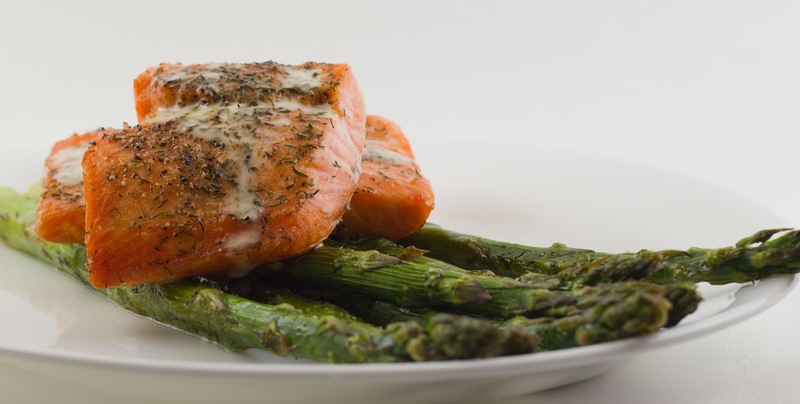 Spray asparagus and salmon with olive oil and season with salt, pepper and sprinkle thyme on top. Place everything in a large greased baking sheet in a single layer. Roast for about 20 minutes till salmon is cooked through and asparagus wrinkles a bit. Serve drizzled with lemon dill sauce (recipe below). 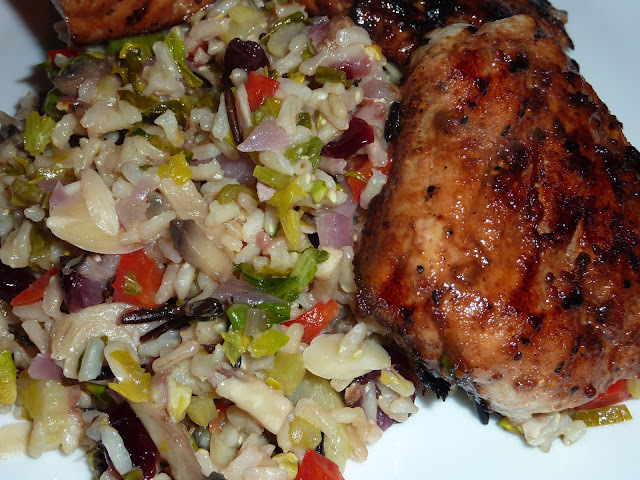 Mix all the ingredients well and drizzle a tablespoon each on salmon and serve. Toast baguette slices till slightly crisp. Make sure not to over toast as we have to toast them again with the topping. Remove from heat. Rub a raw garlic on the hot toast and drizzle with a bit of olive oil. 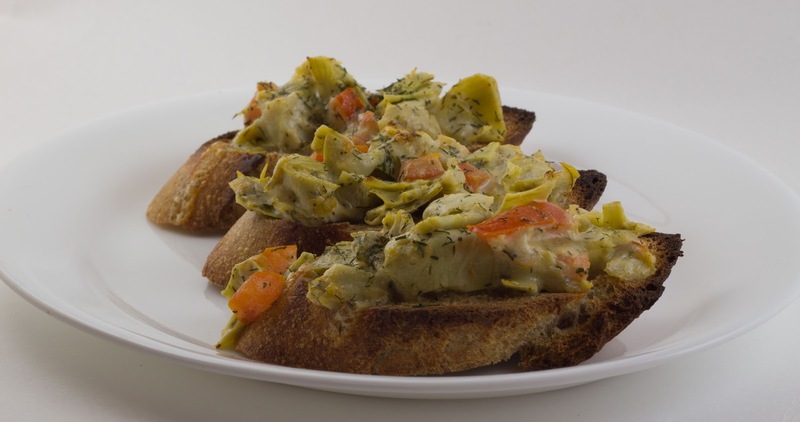 Prepare the topping by mixing artichoke, cheese, tomato, mayonnaise and dill together. Pile the topping onto the garlic rubbed slices and broil on high for 3-4 minutes till topping heats a bit and cheese melts and brown. Do not overcook. Serve hot. 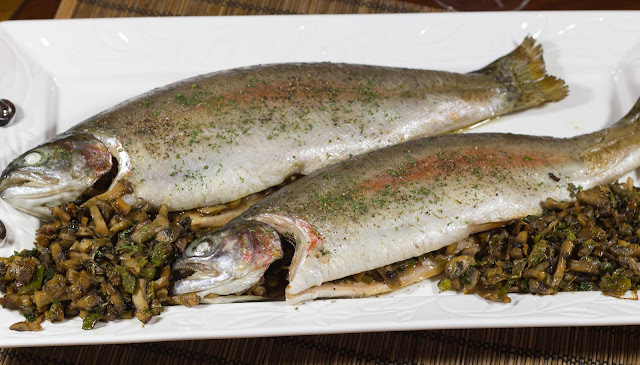 ﻿Rainbow Trout is a pale pink fish with a delicate flesh and a nutty flavor that is milder than salmon. It provides an abundant supply of omega-3 and vitamin B12. Being a small fish it is low in mercury and thus has no limit on consumption. Farmed trout is available all year round. This whole baked fish recipe is fairly easy and makes for a delicious meal as well as a showstopper on the dinner table. Do serve it whole as it looks super cool and then cut in to pieces. After cooking the bones come off quite easily. In a pan heat 2 1/2 tbsp butter and olive oil. Add garlic and cook for 30 seconds till pink. Add mushrooms and celery and thyme and cook till mushrooms brown a bit about 10-12 minutes and the liquid evaporates. Open the fish and sprinkle lime juice generously inside and out. Season with salt and pepper. Divide the mushroom filling equally in two and stuff the fish with the filling. Place the stuffed fish on a greased baking sheet and brush outside with the remaining melted butter. Bake at 350F for about 25-30 minutes till fish is cooked through. Carefully lift the fish with two spatulas and serve with garlic mash (Click here for recipe). Halibut is a firm white fish with a mild flavor. High in omega 3 oils and vitamin D, halibut is overall low in fat. That is the reason why it pairs wonderfully with a creamy dish such as the pasta in creamy mushroom sauce. In a bowl combine salt, oregano, thyme, pepper. Sprinkle over the fish fillets and rub in with fingers. In an oven proof skillet, heat oil over medium high and cook fillets with the spice side down for 2 minutes till browned. Turn the fillets over. Transfer the skillet to the oven and bake for 5-7 minutes till fish flakes easily. Bring a large pot of salted water to boil. Add pasta and cook according to package directions until al dente. Drain and put aside. Reserve a cup of pasta water for later. To make the mushroom sauce heat butter and olive oil in a large skillet and add garlic. Saute for a minute and add mushrooms. Cook mushrooms for about 3-4 minutes till tender and add flour. Stir and cook the flour with the mushrooms for 2-3 minutes till the flour taste cooks out. Mix in broth while stirring and also cream and thyme. Cook until thick. If its too thick then use the reserved pasta water to thin it out to the desired consistency. Toss the cooked pasta in the sauce and season. 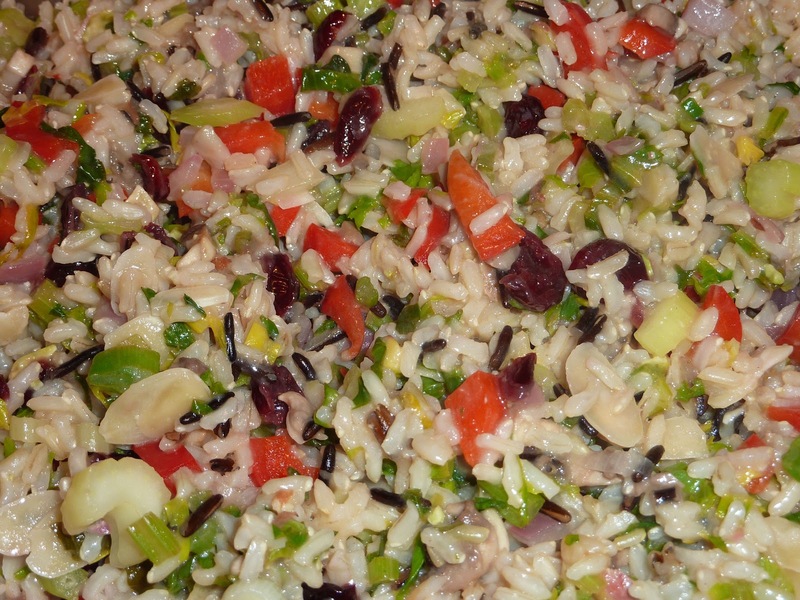 We are often urged to consume more fish in our diet owing to its health benefits. Besides being an excellent source of protein, fish is a great source of omega-3 fatty acids. But in our family fish is simply a choice food for all, for the eaters as they love the taste and for the cook as it is just too simple and easy to prepare. So here are a few different types of fish and how to prepare them. This evening its the good old 'cod'. Cod is dense white fish with a mild flavor. Being a lean meat it cooks really fast and best in moist heat. Cod livers are processed to produce the cod liver oil which is a great source of vitamins A, D, E besides omega 3 fatty acids. Cod is the fish used in fish and chips. Taking an inspiration from there this version is wayyyy less in fat as no deep frying is involved but gives the full flavor. Season fish fillets with salt and pepper on both sides. Sprinkle generously with lime juice and then top with lime zest and a sprinkling of dill. I used fresh dill here, but dry one works well too. Heat olive oil in a pan at medium-high. Cook the fish for about 2-3 minutes per side until fish is cooked through and no flakes easily with a fork. Do not cover the pan with a lid as this will make the cod watery. Also, handle it with care, as cod cooks it has a tendency to fall apart. 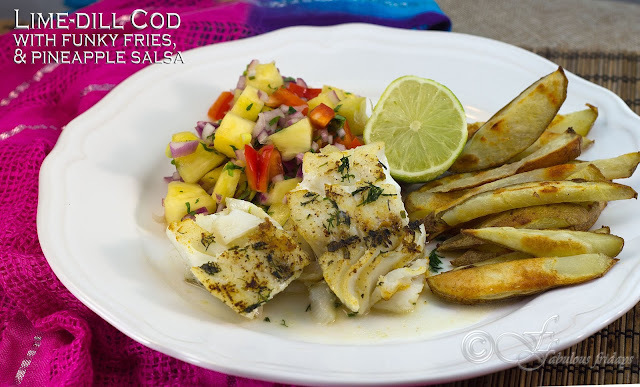 Gently take out the cooked fish from the pan and serve hot with tangy pineapple salsa and funky fries. To make pineapple salsa check out the ingredients and recipe here. Scrub the potatoes well. Cut narrow wedges of uniform thickness with the peel. if you prefer, you can peel the potatoes. Mix oil and seasoning and cut wedges thoroughly. Lay on a baking sheet in a single layer and bake on the top rack for 20 minutes until golden and crisp.